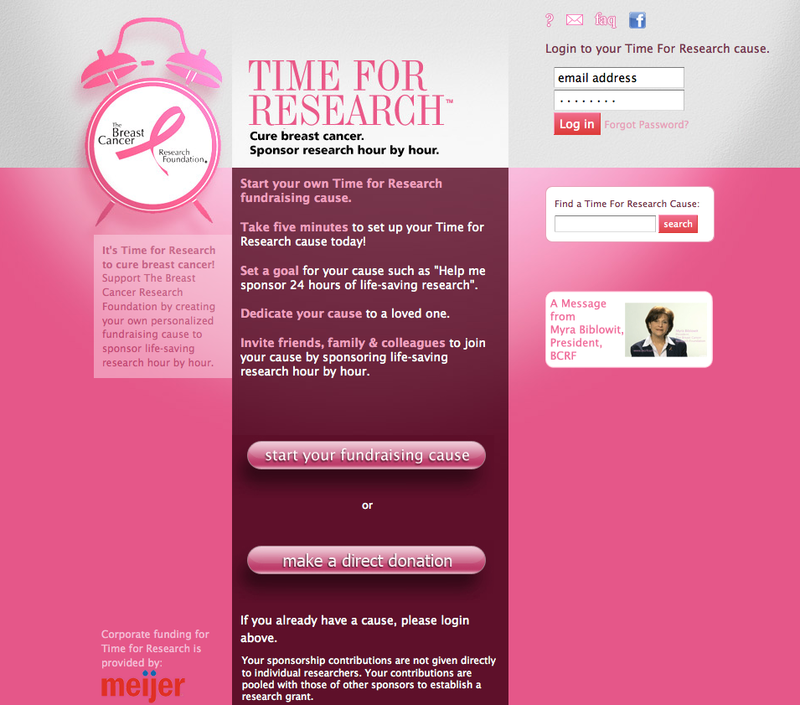 Time for Research is a peer-to-peer fundraising campaign of The Breast Cancer Research Foundation that allows individuals to sponsor life-saving research hour by hour. 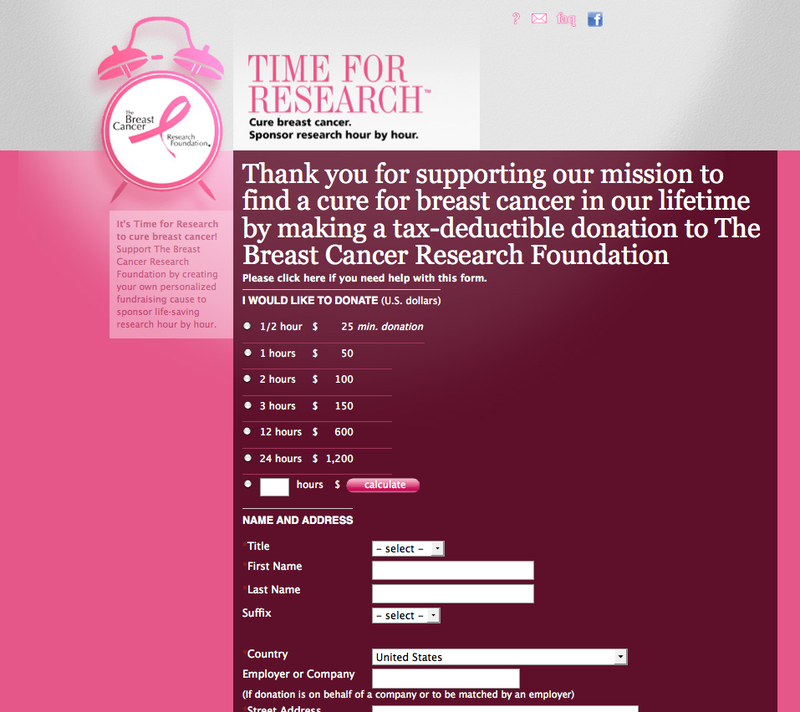 It was essential that Time for Research be able to run their own fundraising campaigns on both the Time for Research Web site and Facebook. A campaign called "Raise a Day of Research" was marketed to donors via a direct e-alert, messages sent via Facebook Causes and Facebook status messages. The contribution page itself was embedded directly into Facebook allowing donors to give directly. 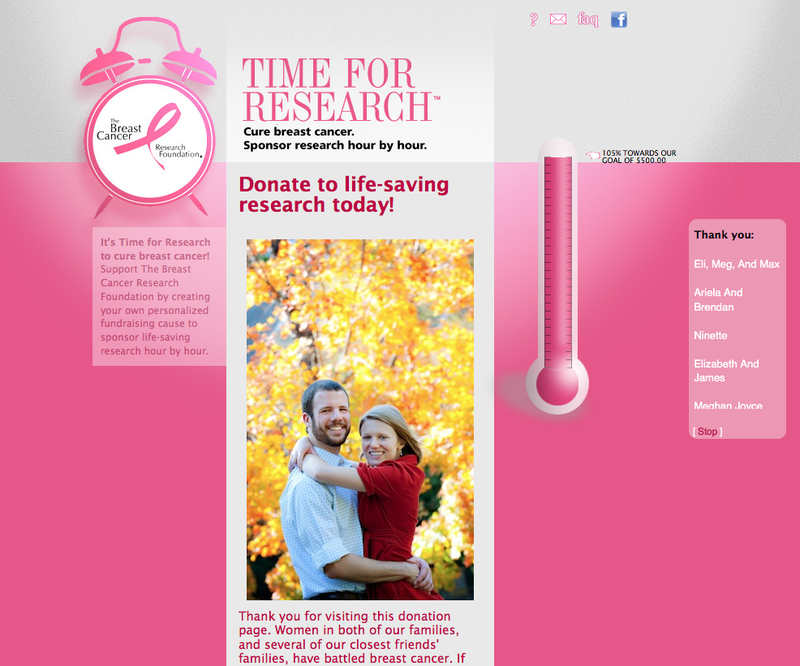 set a fundraising goal such as "Help me sponsor 24 hours of life-saving research"
The initial promise of Time for Research was to allow a donor to autonomously create his/her own personalized fundraising page and market it to his/her peers within minutes. The biggest challenge in deploying this project was simplifying the CiviCRM Personal Campaign Page workflow to ensure donors had no more than a four-step process to create their page and see it up and running. This project was initiated by the organization's marketing department. The project team was composed of two project managers acting as dedicated liaisons between client and developer for the duration of the project. These project managers managed a core team of client marketing experts, rayogram user experience, user interface and CiviCRM engineering experts. Several peer-to-peer fundraising solutions were evaluated in choosing CiviCRM including proprietary solutions that collected fees of up to 7% per transaction. CiviCRM was seen as the most cost-effective and customizable solution. It was also chosen because it would allow the client to capture all peer-to-peer fundraising data directly into their existing CiviCRM database.